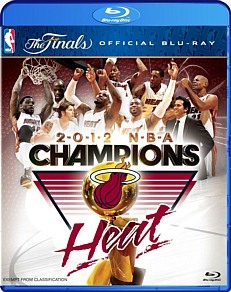 Miami Heat NBA 2012 Champions Blu-ray Review Miami Heat: 2012 NBA Champions is another hugely impressive outing from Beyond that must surely rank as one of the top sporting releases of the past year. Beyond Home Entertainment have been doing a bang-up job of late in bringing excellent quality NBA releases to local shores, and a good thing too because few other Australian distributors seem willing to make the effort. 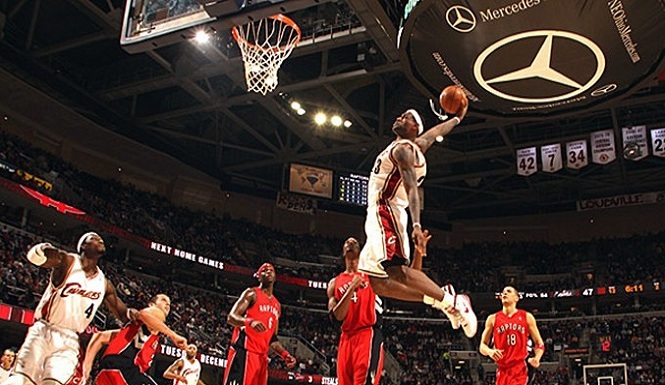 Miami Heat: 2012 NBA Champions is another hugely impressive outing from Beyond that must surely rank as one of the top sporting releases of the past year. Telling the story of LeBron James’ decade-long journey to his first NBA Championship, this monumental Blu-ray edition features a comprehensive look at the Heat’s regular and post-season efforts and is positively laden with a slew of worthwhile bonus features. Running almost two hours, the feature itself includes an incisive look at Miami’s attempt to regain their composure after a hugely disappointing end to their 2011 Championship run. We see James attempting to correct whatever flaws remain in his game during pre-season workouts, superstar teammates like Chris Bosh and Dwyane Wade struggling to reassert their dominance during the early games of the 2012 season and the Miami franchise as a whole going to extraordinary lengths to bond as an organisation and a cohesive on-court unit. Their efforts paid dividends, and the end result is a thrilling and wonderfully crafted examination of some of the modern day’s most thrilling athletes in their prime. The on-court coverage featured throughout is impeccable, as is the 1080p HD picture quality. Aspect ratio is a crisp 16:9, and the two-channel soundtrack is surprisingly immersive.